Only 2 more days left till Valentine’s Day, the day we’re supposed to be all romantic and give each other roses and have candlelit dinners and stuff. You could do all that or you could mix it up a bit and send your beloved a rude poem. Roses are red poems have been around for ages and they’re a tired cliché, but I have found some remixes that traditional romantics would not approve of. Scroll down to enjoy some rather inappropriate poetry! Why don’t you dial it? Turned out to be glue! but tonight you’ll get two. 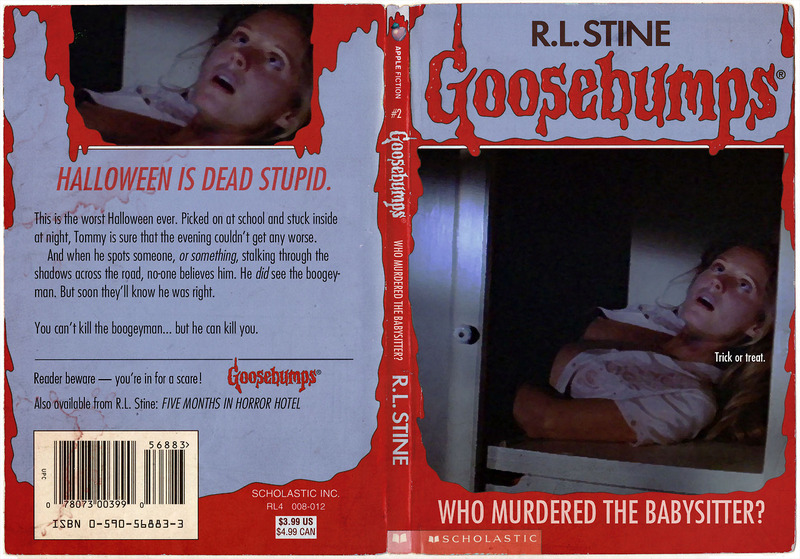 Goosebumps is a series of horror fiction novellas by American author R. L. Stine. The stories follow child characters,who find themselves in scary situations. From 1992 to 1997, 62 books were published under the Goosebumps umbrella title.Various spin-off series were written by Stine : GoosebumpsSeries 2000, Give Yourself Goosebumps, Tales to Give You Goosebumps, Goosebumps Triple Header, Goosebumps HorrorLand, and Goosebumps Most Wanted. Another series, Goosebumps Gold, was never released. Goosebumps has spawned a television series and merchandise,as well as an upcoming feature film starring Jack Black as R. L. Stine. Since the release of its first novel, Welcome to Dead House, in July 1992, the books have gained immense popularity and commercial success worldwide. As of 2014, the series has sold over 350 million books worldwide in 32 languages, and individual books in the series have been listed in many bestseller lists, including the New York Times Best Sellerlist for children.